Vellore, the Head-Quarters of Vellore District situated in 12' 35' N and 79' 9' E , has a very interesting History of its own. A strategically located town, it is well connected by Rail and bus routes to major towns of the neighboring states like A.P. Karnataka and Kerala. The History of the district assumes a great significance and relevance, as we unfold the glorious past. It was under the sway of various dynasties and rulers, the prominent among them being the Pallavas, Cholas of Uraiyur, the Rashtrakutaa dynasty of Malkhed, Sambuvarayar, the rulers of Vijayanagarm, Mamathas, the Nawabs of the carnatic and the British. The Monuments found in the district give a vivid picture of the town through the ages. In the 18 th Century Vellore District was the scene of some of the decisive bettles fought in Ambur (1749) A.D Arcot (1751) A.D and Vandivasi (1760A.D) as a result of the long-drawn struggle between the English and the French for Supremacy. One of the monuments of Vellore is the fort and its exact date of construction could not be established, in the absence of proper records. A very close examination of the stone inscriptions suggests that the fort in all probability might have been built during the rule of Chinna. Bommi Nayak (1526 to 1595A. D). The fort is one of the most perfect specimens of Military architecture in India. The Jalakandeswarar Temple inside the fort is very fine example of Vijayanagar architecture. 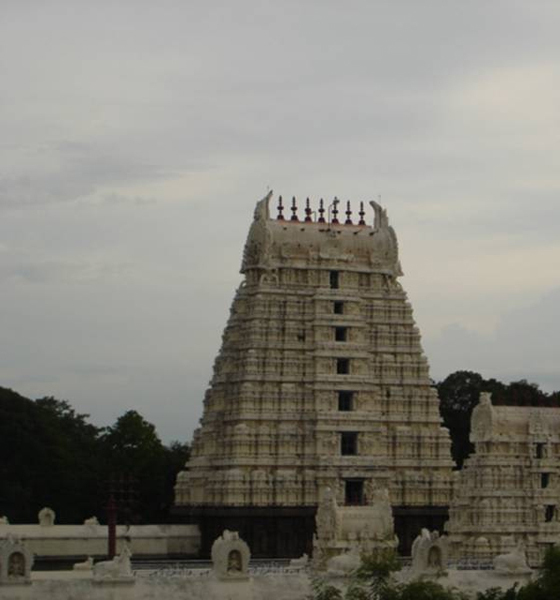 The Kalyanamandapam, on the left of the entrance, with intricate caring and delicacy of exaction, bears testimony to the engineering marble and advanced state of sculpture of the times. Another land mark that has put Vellore on the center stage of Medical world is the Christian Medical College Hospital. Dr . IDA Scudder, the American lady, with a missionary zeal, started her Medical work in 1900 A.D. by setting up a very small Hospital, which in the last hundred years has grown into a premier Medical Institution of international repute. The central prison in Vellore, set up in 1830 A.D. is another Historically important land mark as some eminent personalities and Freedom Fighters like Thiru. Rajaji, Thiru C.N. Annadurai, Thiru. K. Kamaraj, the former presidents of India Thiru. V.V.Giri, Thiru. R.Venkata Raman had served their prison terms here. The other note worthy monuments are the Mausoleums located in Aruganthampoodi area on the Vellore-Arcot road, where the family members of Tippu Sultan were buried and the Muthu mandapam on the banks of river of palar, a memorial raised by the Tamil Nadu Government to honor Vikarama Raja Singha, the last Tamil King who ruled Kandy (Srilanka ) from 1798 to 1815 A.D. He was imprisoned in Vellore fort for 17 years.